Whether you are checking out the local winery, brewery, or visiting a museum, Lancaster has many things to see and do. A tooth pain is the last thing you need slowing down your enjoyment of this lovely area. At the first sign of pain it is vital that you have it checked out to stop complications down the road that could have been prevented. Lancaster has many options when it comes to general dentists and specialists. You can rest assured you will find what you need while you are here. 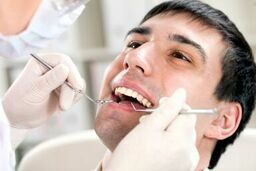 We at emergencydentistsusa.com have put together a list of local dentists and dental specialists in the Lancaster area. You can feel confident that this list has a dentist to help you during your dental emergency. The list includes both general dentists and specialists such as pediatric dentists, orthodontists, periodontists, and more. If you do not have the time or ability to look through the list at this time, call our toll-free dentist finder hotline today. A call to our hotline will connect you to a well trained associate there to assist you in finding a dentist or specialist. We understand that a dental emergency can be a scary and stressful time and we want you to know we are here to help you through the process of finding a local dentist. We can help you by letting you know the dentist close to your area, their hours of operation and we can even schedule your appointment for you once you choose a dentist. We recommend that you go to the appointment 15 minutes ahead of time to fill out any necessary paperwork. Bring with you your current photo ID, insurance card, and any payment necessary. You should also compile a list of current medications and allergies. There are plenty of dental options available to you while you are in Lancaster. You can choose from any of the general dentists, specialists, cosmetic providers, pediatric specialists, and more. Before you choose a specialist, consult with your general dentist. He or she will determine if you have a need to visit a specialist, if required you will be referred. Description: Welcome to Fairfield Family Dental. Our goal is to establish trust and provide you with excellent service. Our friendly team and state-of-the art facility are there to serve you. We offer general, cosmetic, restorative, and comfort dentistry. Our office accepts most insurance plans and offer financing through CareCredit. We have emergency care for your emergency. We look forward to seeing your smile. Description: The office of Gentle Dental Care is a leading dental practice in Lancaster. Our doctors are committed to providing optimum care in a comfortable and compassionate manner. We provide restoration of a single tooth or a full-mouth reconstruction and a wide array of other dental services. We have our own in-house savings plan called Savings On Smiles. We are here to serve you. Description: The goal at Our Practice is to make sure all of your dental needs are taken care of right from our office. Our office provides a warm and happy atmosphere to help you enjoy the time you spend with us. We offer a full array of services from total family care, cosmetic dentistry, dentures, crowns, and much more. Our office accepts most insurance plans and offer financing through CareCredit. We look forward to serving you. Any tooth pain that persists for an hour or more needs to be treated. There could be a serious dental issue that if treated promptly can ensure that further complications do not arise. If the pain that you are feeling is from an accident, visit the local ER first. Do your research before you visit any new dentist. Check out that their licenses and credentials are all current. You can find this information by visiting the Ohio Dental Association website and putting the dentist’s name into the search bar. From there, you can find the information you require.